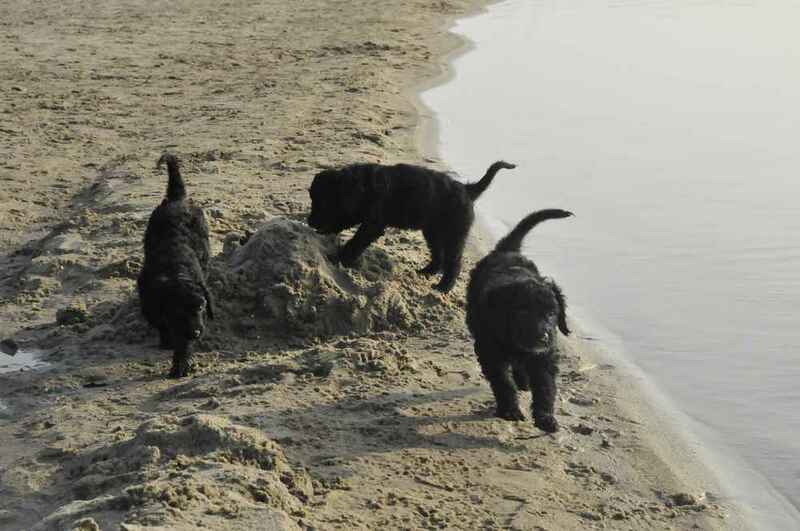 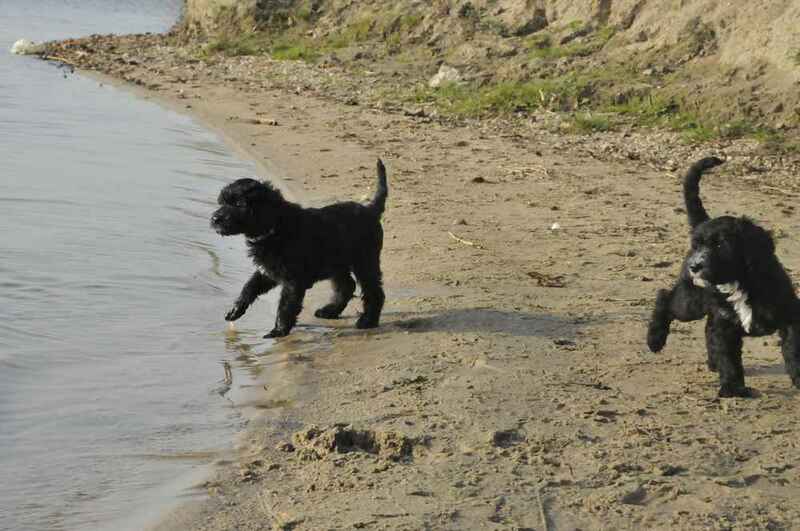 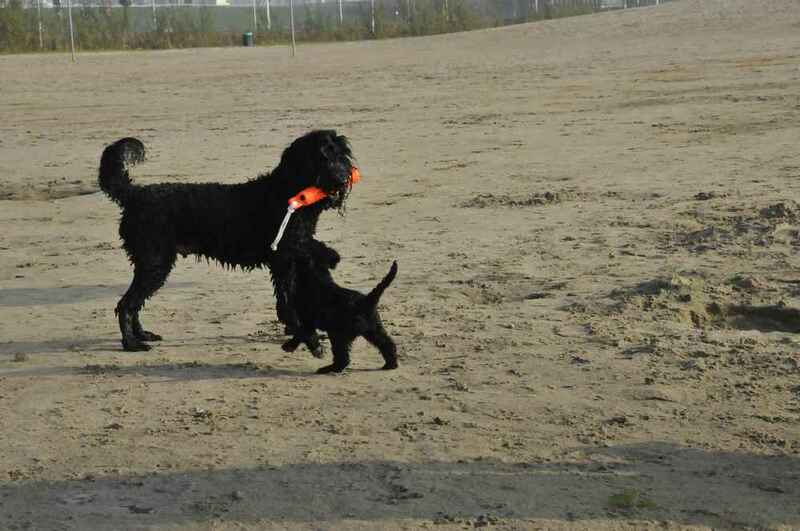 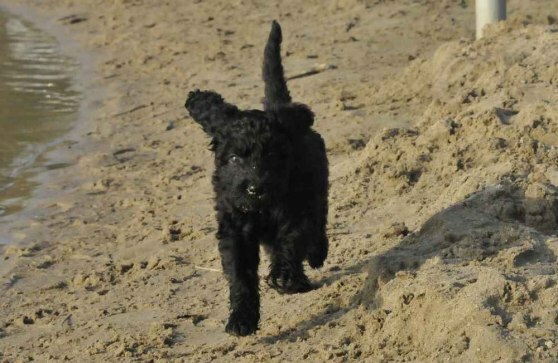 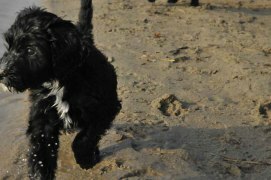 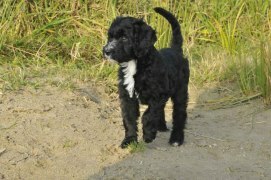 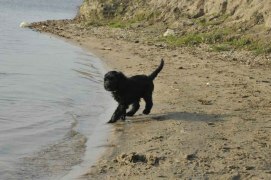 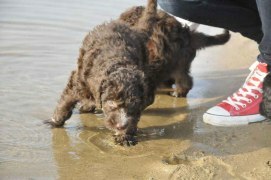 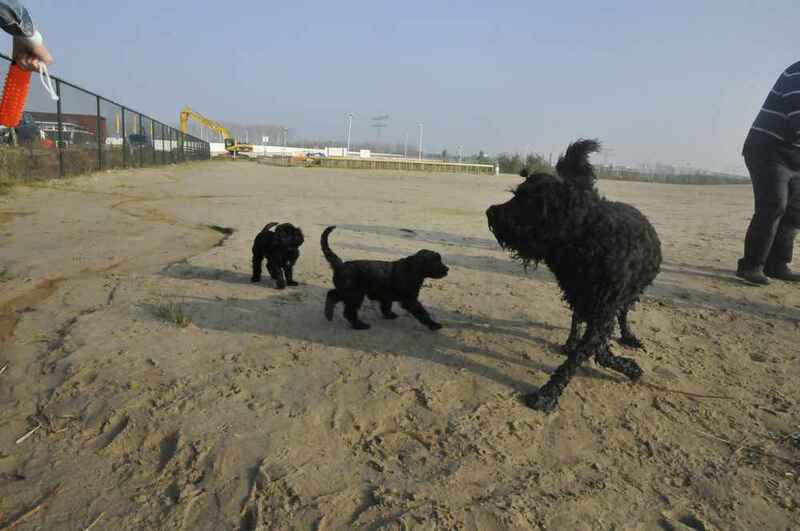 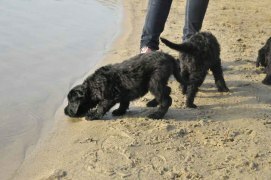 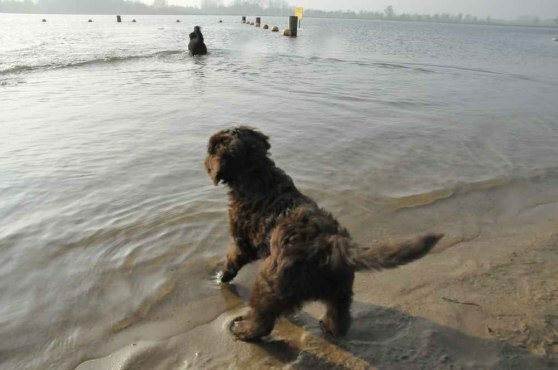 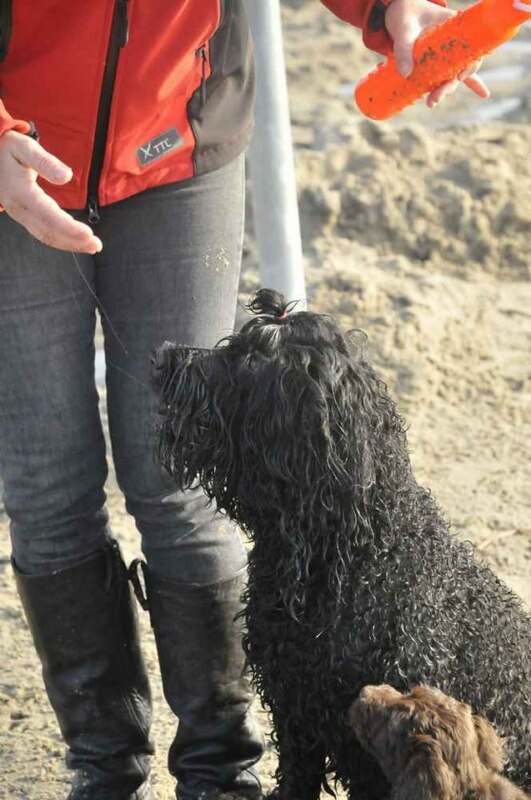 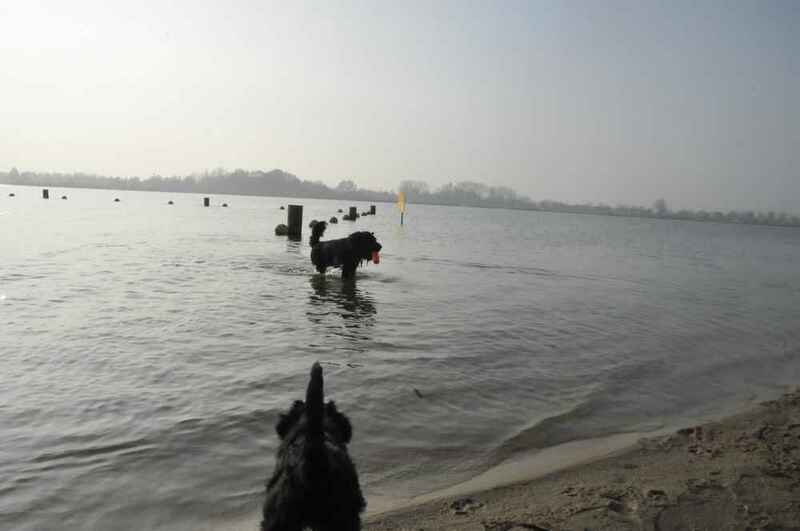 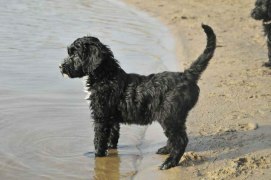 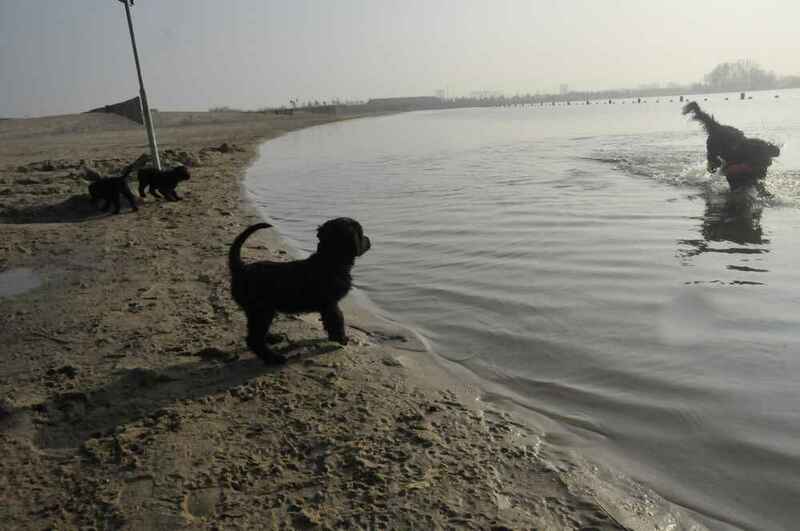 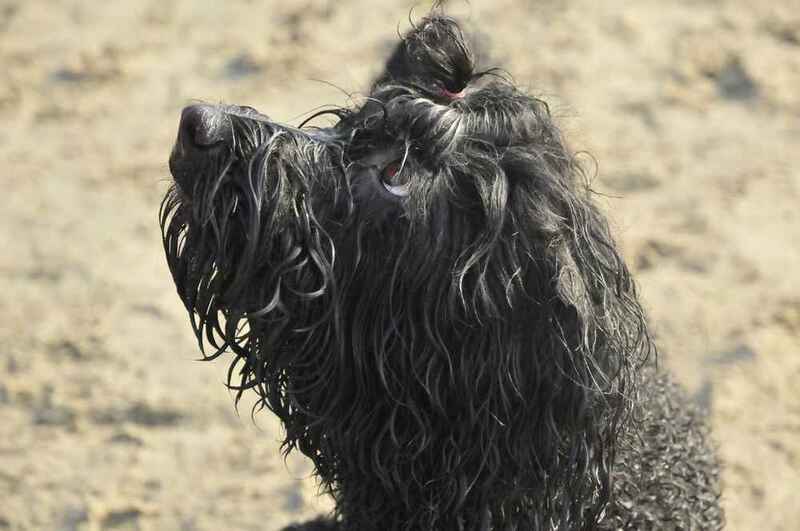 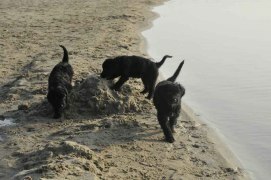 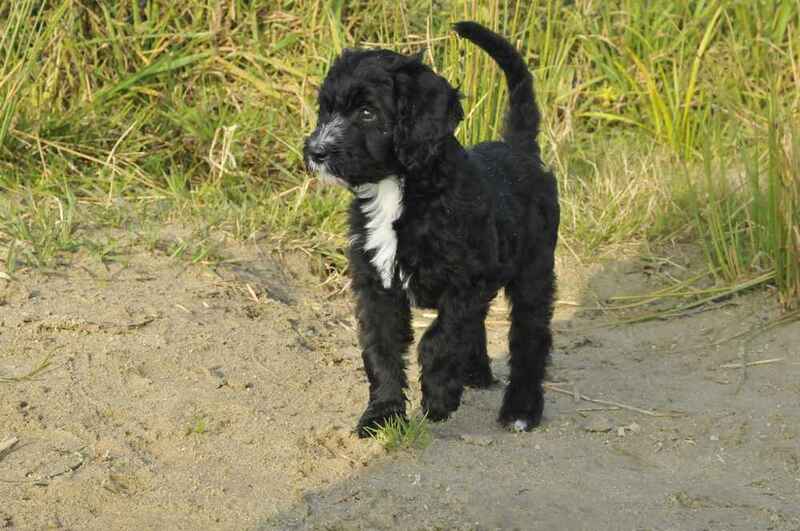 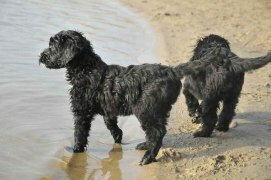 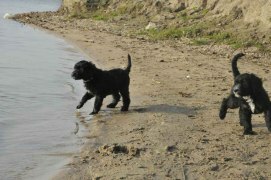 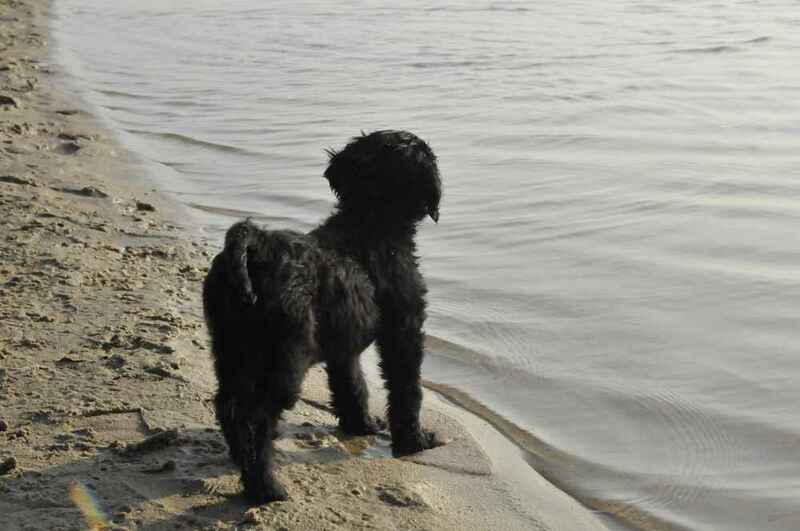 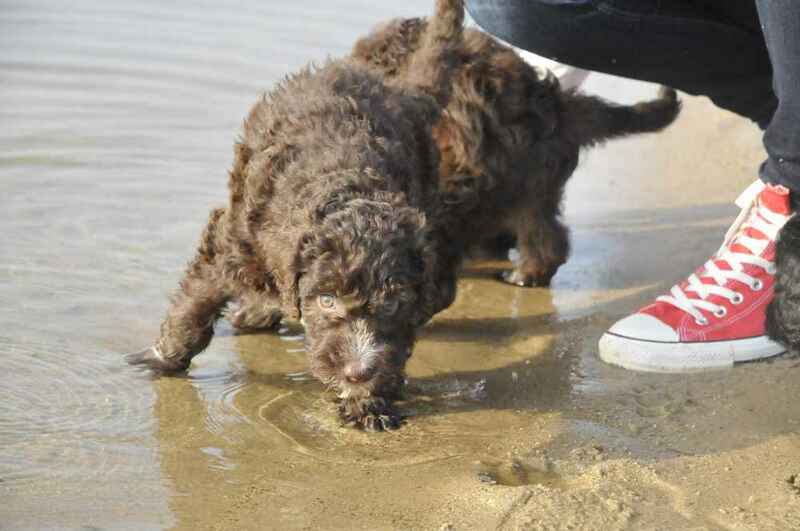 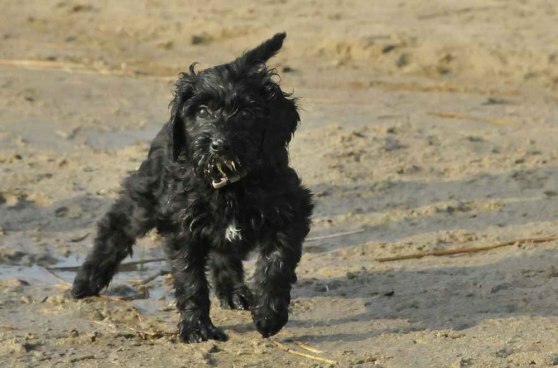 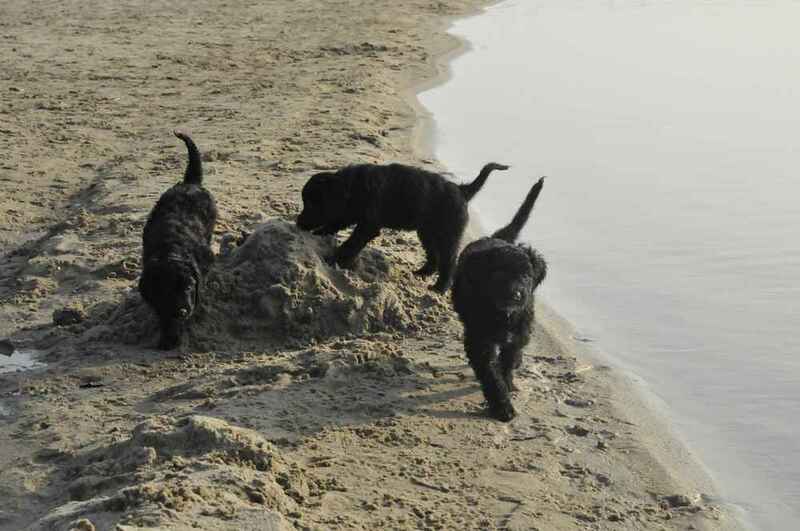 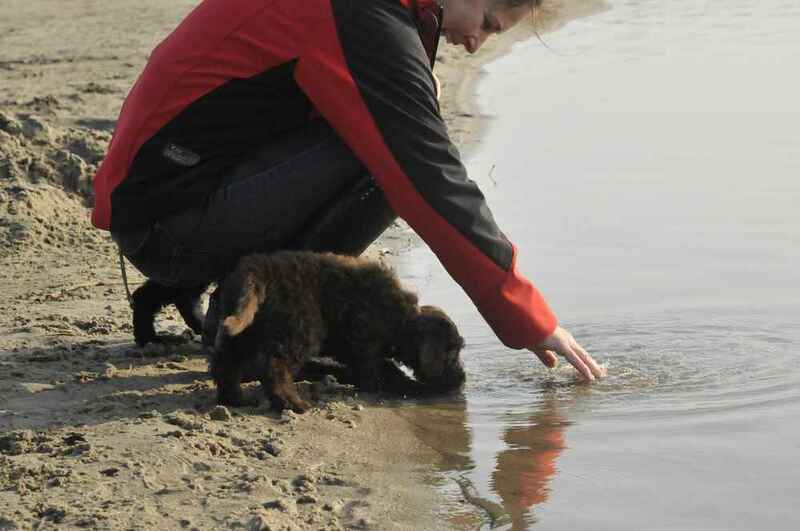 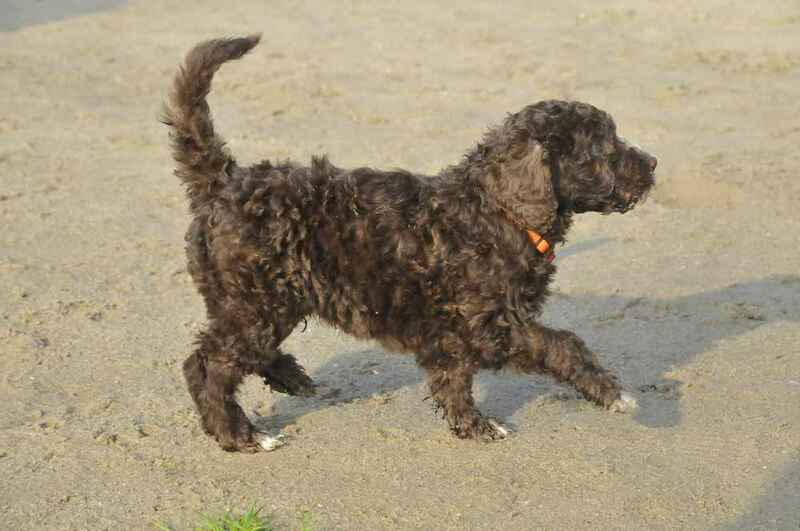 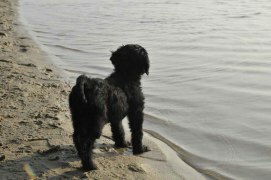 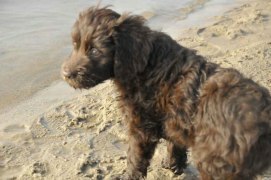 Today all the puppies visited the beach and Yatzie showed them how to water retrieve. It was super to see them all touch the water and one brave girl, Miss Green, followed Yatzie inside the water. 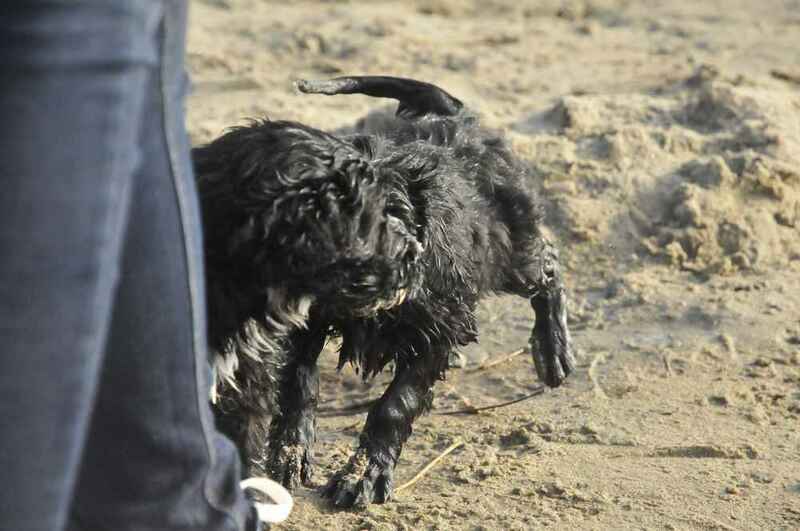 She was a bit surprised when she realized it was cold and wet! 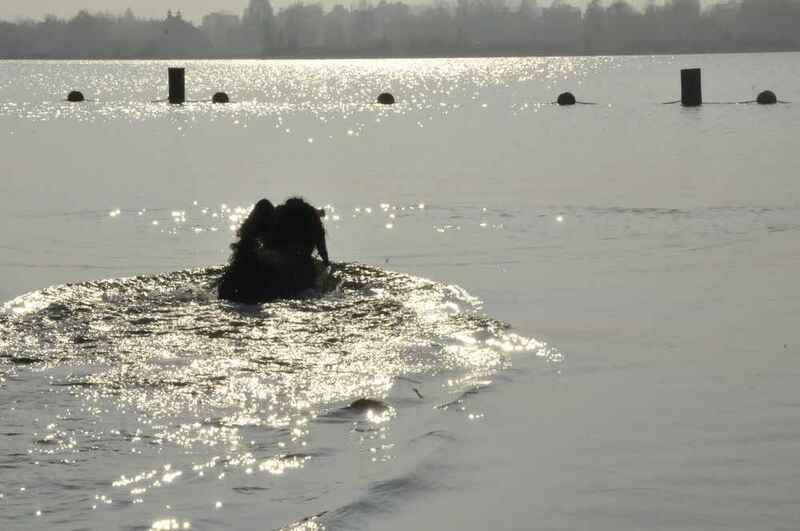 Yatzie was so happy to work in the water - not having done any water work for 2 months. 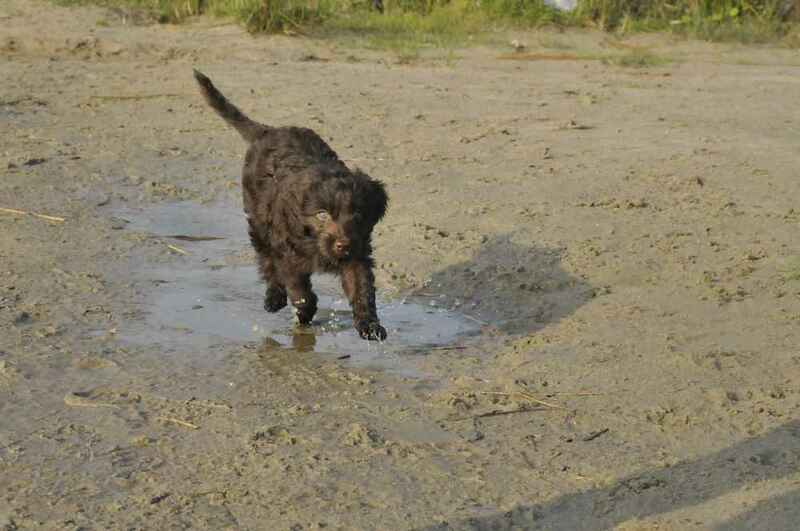 She got crazy from joy!